The 35th Hong Kong Film Award will take place on April 3rd. The event yesterday announced its nominations. PORT OF CALL (DAP HUET CHUM MUI) after its Golden Horse Award and Hong Kong Film Critic Society victories again received 13 nominations to be the most nominated film. 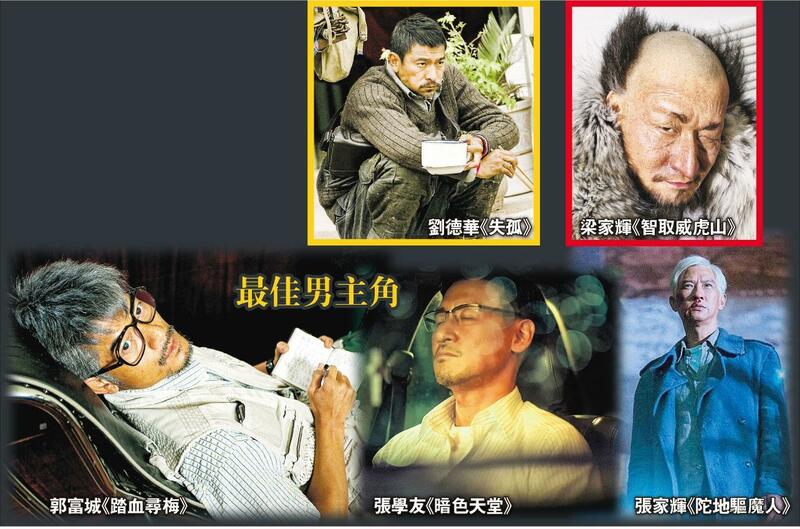 Aaron Kwok Fu Sing will compete for Best Actor again Nick Cheung Ka Fai, Tony Leung Ka Fai, Andy Lau Tak Wa, and Jacky Cheung Hok Yau. Sing Sing was happy for director Philip Yung Chi Kwong and also thanked the voters for their recognition of his character. Best Actress nominees included Karena Lam Ka Yun, Jessie Li (Chun Xia), Tang Wei, Sylvia Chang (Cheung Ngai Ga) and Miriam Yeung Chin Wa. LOVE AND LOST (SUT GOO)'s Best Actor nominee Wa Jai thanked everyone for their love. He said, "When I got the script, I too question myself if I had the ability to play this character well. I put a lot of effort into it. I am truly very happy to be able to receive everyone's recognition!" Leung Ka Fai was very happy about his film THE TAKING OF TIGER MOUNTAIN's 11 nominations. He hoped that director Tsui Hark and other nominees would win, but he did not dare to think that for himself. Instead he picked Sing Sing for Best Actor. The HEAVEN IN THE DARK nominee Cheung Hok Yau said, "I am very happy to see so many close friends being nominated, whether I win or not I am already happy to be able to attend and see my friends. I hope Lam Ka Yun can win again after the Golden Horse Award, but the lack of a Best New Director nomination for director Yuen Kim Wai is a little regrettable." Cheung Ka Fai with KEEPER OF DARKNESS was nominated for Best Actor. He said that he was even more excited about the film receiving five nominations and thanked his team! KEEPER's Best Supporting Actor nominee Louis Cheung Ka Fai and Best New Performer nominee Sisly Choi Sze Bui both said that they were happy. Ah Chung said, "It's already a victory. I have learned a lot from the production process. 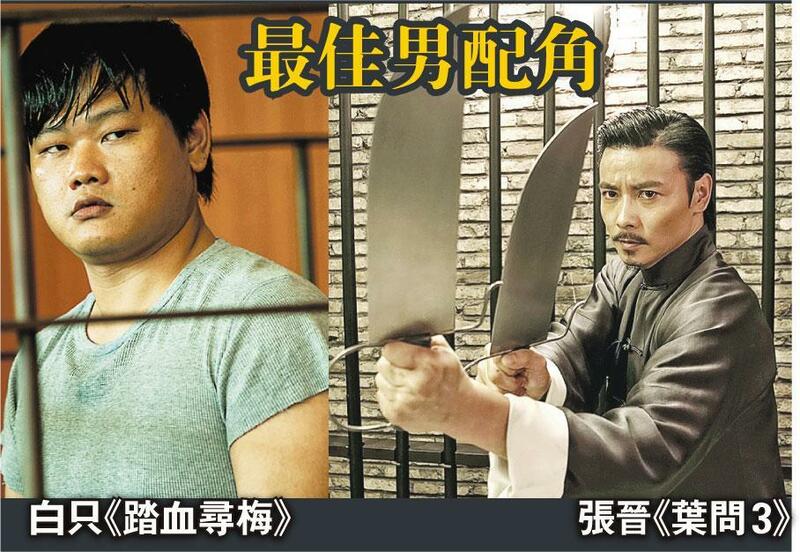 20 years ago I would never imagine that I would be nominated for a Hong Kong Film award with Bak Ji (Michael Ning)." Sze Bui said that when she heard about her Best New Performer nomination she shivered and thanked Cheung Ka Fai for giving her a chance. HEAVEN IN THE DARKNESS' Best Actress nominee Lam Ka Yun was not only happy but also thanked the film investors. Because this was not a commercial film, it might not be able to make a lot of money. She also thanked Cheung Hok Yau for his trust and support of the team and congratulated him on his Best Actor nomination. Thirdly she thanked director Yuen Kim Wai. LITTLE YOUNG MASTER's Best Actress nominee Yeung Chin Wa repeatedly said, "Very happy". "I am very honored and grateful! I am the happiest about the numerous nominations for the film, I am happy for them!" After ten years away from film Anna Ng Yuen Yi said that she was both happy and grateful. She could finally answer to herself and her family. Director Adrian Kwan Shun Fai was also grateful. Michael Ning (Bak Ji) received Best Supporting Actor and Best New Performer nominations and was very excited, but he was even happier about the film's 13 nominations because this film was the effort of many people. He said, "I am already very happy with just the nomination, I grew up watching the Hong Kong Film Awards. I never imagined that I would take part." Jessie Li (Chun Xia) received Best Actress and Best New Performer nominations. She said that she was very happy and the nominations made her believe that she was a passable film worker. In addition, SHE REMEMBERS, HE FORGETS (NA YUT TIN NGOR MOON WUI FEI)'s Best New Performer Cecilia So Lai Shan said that she was very happy, very lucky to be able to be nominated with amazing nominees. Janice Man Wing Shan with HELIOS (CHET DOH) was nominated for Best Supporting Actress. She was very excited to receive the news in Taiwan. Her entire family all screamed together. 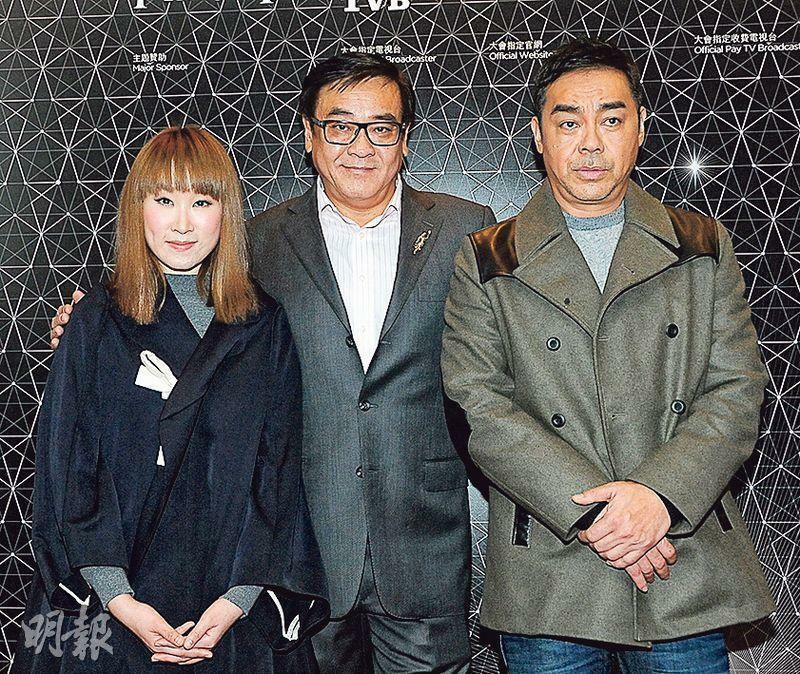 Hong Kong Film Award Association president Derek Yee Tung Sing, Sean Lau Ching and Ivana Wong Yuen Chi yesterday attended the nomination press conference. Ching Wan this year was not nominated. He joked that he was very relaxed. "This year they asked me to help as a host, I have no reason to turn them down. However everyone knows how well I talk." Ching Wan joked that he has already sat in the audience for many years, so he believed that this time will be rather challenging. However he has not asked his more expressive buddies for advice because he did not know what to ask. As for his picks for Best Actor and Best Actress, he stated, "This year is very strong, it's hard to determine." Ivana felt very honored to be able to announce the nominations with her idol Ching Wan, which she saw as the first step toward working with him. However she did not dare to volunteer to host with him because she was too frightened and lacked confidence. She joked, "In order for the Hong Kong Film Award to continue on gloriously, I would try not to touch the host world."